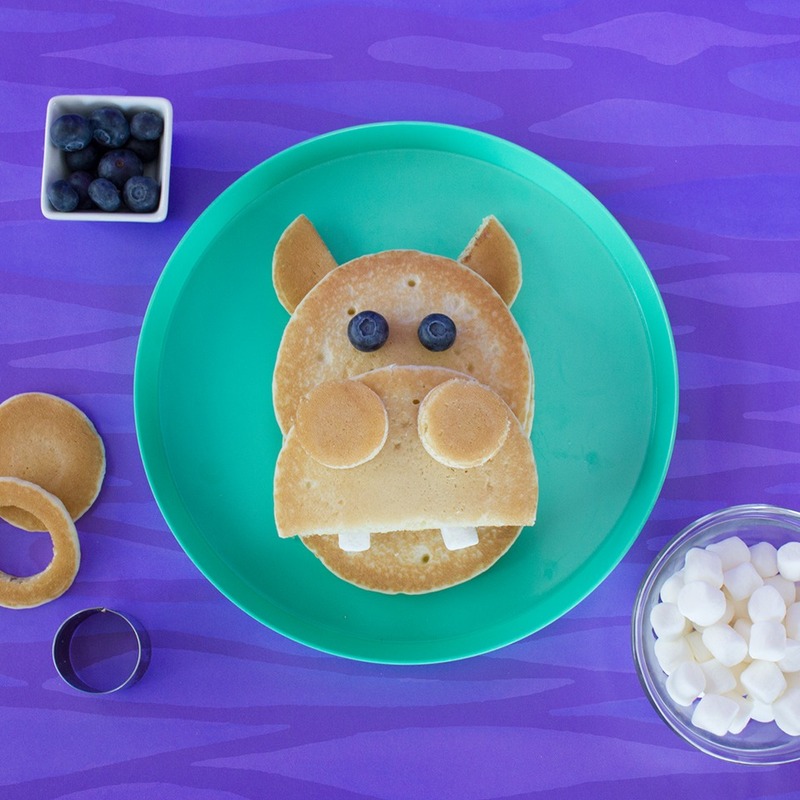 Let your imagination go wild with these safari-inspired Hungry Hippo Pancakes! This appetizing creation is an exciting snack that's as fun to make, as it is to eat! To bring your Hungry Hippo Pancakes to life, you’ll first need to cut out all your shapes. Take one Mini Pancake and cut it in half for the ears. For the snout, use a cookie cutter or kitchen scissors to pop out the center of the other two Minis. Then, cut one Buttermilk Pancake in half to create the full snout. See, it’s already starting to come together! Arrange the remaining two Buttermilk Pancakes vertically so that one is on top of the other. Be sure to overlap them a bit in between to fully complete the Hippo’s head. Last but not least, simply add the 2 blueberries for the eyes and grab a couple of mini marshmallows for the teeth. You’ll have the whole family hungry for hippos and gobbling up this clever creation in no time!